THE 1975/76 SEASON in the old Division One was a whirlwind of beauty and, for a budding Queens Park Rangers, one of unspeakable cruelty. Liverpool supporters might barely have noticed Rangers being promoted in 1973, as the men from Anfield were on their way to a double of the league and UEFA Cup. QPR were unfairly seen as the poor men of West London – the minnows who played across the road from the BBC in Shepherd’s Bush and had to live in the shadow of a swaggering Chelsea and Bobby Moore’s Fulham. But it was a former Chelsea legend, Dave Sexton, who brought a free-flowing, almost arrogant style to the First Division, which very nearly saw QPR end up as champions. Fans the length and breadth of the country warmed to Rangers’ fearless, cavalier football, embodied by their lank-haired creative genius, Stan Bowles. 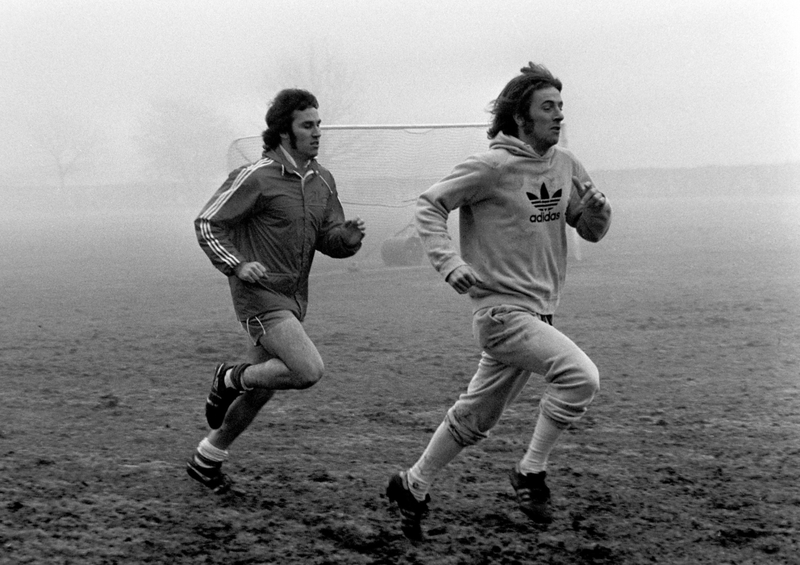 While Bowles fully lived up to his billing as the English George Best – on and off the pitch – QPR were a team littered with talent, from their beast of a goalkeeper, Phil Parkes, through to the dynamic Gerry Francis – a midfielder who ranked with the very best. Their distinctive blue and white hoops, their tight stadium and their maverick style of play combined to make them the nation’s favourite underdogs. What happened in 1975/76 is still rooted in the minds of everyone who witnessed it – the shootout between the mighty Liverpool and the upstarts of Loftus Road. When they lined up for the first game of the new season on a sweltering day in August 1975, few envisaged that these two teams would be fighting each other to be crowned champions the following May. 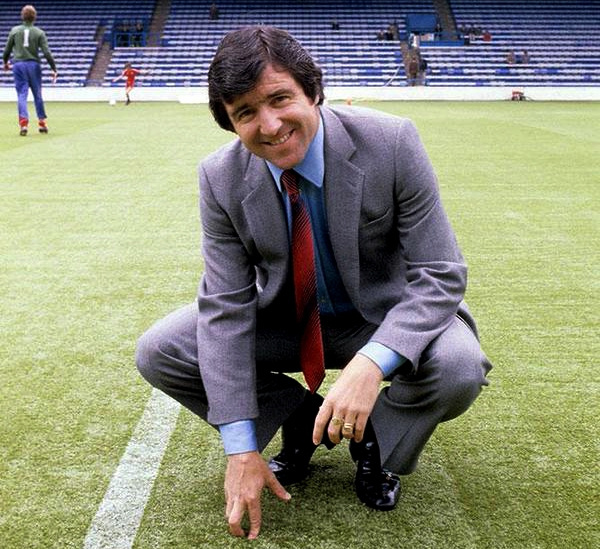 But QPR set their stall out in style. Although the final score was only 2-0, they didn’t just beat Liverpool, they destroyed them. Francis, in particular, was imperious, repeatedly leaving Liverpool’s Peter Cormack in his wake. His goal – which ended up being voted Goal of the Season – embodied QPR’s entire footballing philosophy in one move. Five crisp passes, from goalkeeper to goalscorer, saw every player running off the ball and Francis sliding it under the body of his international colleague, Ray Clemence. It’s truly a thing of beauty. After a draw against Aston Villa and an emphatic win over Derby at the Baseball Ground the following week came QPR’s first stutter – a period of three consecutive draws. In those days a win would only earn a team two points, so a draw was not the end of the world and QPR’s winless run came to an end with a 1-0 win over newly-promoted Manchester United. Imagine that – QPR starting a game as favourites against United. That win marked a run of six victories, six draws and just two defeats in 14 games. Although briefly top of the table by the end of September, those six draws saw them slump to fifth. But come the new year, Sexton’s side shifted gears and went on an incredible run of 11 wins and a single draw from 12 games, propelling QPR back to the top of the table. It was title-winning form. During that period, Liverpool experienced mixed fortunes of their own, dropping points against Ipswich and, most unusually, at Anfield against Middlesbrough and Norwich. But Norwich weren’t done; the Canaries were to have their say in the race to the title, right to the end. On another sizzling day, the Easter Weekend of 1976 saw Liverpool host Stoke while QPR headed to Carrow Road to face mid-table Norwich. QPR were top of the table with 55 points, with Liverpool in hot pursuit on 54. This was to be the Londoners’ final away game of the season; after Norwich, they faced two winnable home matches. Liverpool, meanwhile, had the added distraction of a two-legged UEFA Cup semi-final against Barcelona. QPR had won their previous six games in style and were hitting the sort of momentum that seemed unstoppable. Just three more wins and they would be champions. Surely this swashbuckling team that Dave Sexton had forged would put mediocre Norwich to the sword. In front of a crowd of more than 30,000 fans, QPR experienced one of those days when absolutely nothing goes to plan. The Canaries went two goals up despite Rangers’ Dave Thomas hitting the post and Francis seeing a sublime chip loop over Norwich goalkeeper Kevin Keelan and drop onto the roof of the net. As Rangers pulled a goal back to make it 2-1, news came in from Anfield that Stoke had equalised. In committing every man forward for an equaliser that might have preserved their one-point lead at the top, QPR were caught on the counter and Norwich went 3-1 up. A late own goal was meaningless and provided no consolation for Sexton’s side. The celebrations on the Kop told the Liverpool players there was everything to play for, and they duly won 5-3 to spark wild celebrations amongst the Reds’ players. 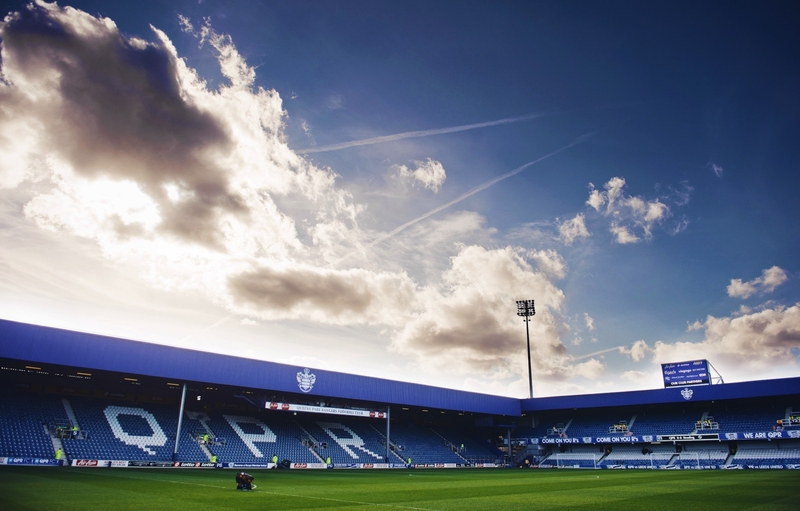 QPR regained top spot by winning those last two home games, meaning they didn’t lose a game at Loftus Road all season. For them, an unbelievable 1975/76 season ended with Rangers top of the league – where they would remain for 10 days. Liverpool still had one game left to play – Wolves away – but had to postpone due to appearing in the UEFA Cup final, which they ultimately won after two hard-fought games against the emerging Club Brugge. QPR’s hopes hung by a thread and depended on Wolves beating Liverpool at Molineux on 4 May. This was by no means an impossible dream. Wolves simply had to win if they were to stand any chance of avoiding relegation. Liverpool, for their part, were definitely showing signs of fatigue. Stoke had put three past them and, in the first leg of the UEFA Cup final at Anfield, the Belgians raced into a deserved 2-0 lead. Liverpool had been reliant upon late winners and unlikely goals from super-sub David Fairclough. All QPR could do was sit, wait and pray. The entire squad was invited by the BBC to follow the Wolves-Liverpool game from their studios, right in the heart of Rangers territory. Liverpool took 30,000 supporters on the short journey to the Black Country to roar their heroes past this one remaining hurdle – but it was the Wolves fans, and those in Shepherd’s Bush, who were cheering loudest as an unlikely win looked on the cards. Steve Kindon gave Wolves a half-time lead and, on a boggy pitch, Liverpool seemed dead on their feet. To give Wolves even more heart, Birmingham were losing at half-time to Sheffield United; if the scores stayed like this, Birmingham would be down, Wolves would survive, and QPR would be champions. Liverpool pressed and pressed, finding reserves of energy to pummel the Wolves goal. The Midlanders held firm, though, and as the clock ticked past 70 minutes, London dreamed. Sadly, a rude awakening was coming. The brilliant Kevin Keegan scored for the Reds, and the Liverpool end erupted further after news filtered through that Birmingham had found an equaliser at Bramhall Lane. Poor Wolves wilted in the face of continued Liverpool pressure and, backed by a magnificent sea of red, the Anfield men went on to win 3-1. Tears of joy on Merseyside were matched only by utter devastation at Loftus Road. From that point on, these two pugnacious opponents travelled in very different directions. Liverpool joined the elite of football by claiming their first European Cup the following season, going on to become one of the most successful clubs of all time. QPR missed their own date with destiny after an unbelievable run took them to their best-ever finish in the top tier. The following season saw them finish 14th, with only 38 points from 42 games, before ultimately being relegated to the Second Division in 1979.